The Relationship People's Blog: Are you thinking with your head or your heart? We are avid viewers of Merlin on BBC 1 on Saturdays. The fantasy drama based on the story of King Arthur and Camelot. 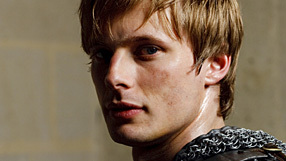 In the episode last week, called 'His Father's Son', Arthur is faced with his first difficult decision as King. Whether to kill a marauding neighbour, Caerleon, who has led a band of men to pillage the land of Camelot, or show mercy and use the opportunity for negotiating peace. 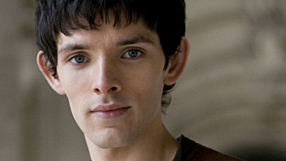 His manservant Merlin, played by Colin Morgan and the hero of the series, knows Arthur has a good heart and wants a peaceful and prosperous land for his people, so urges him to spare Caerleon's life and show he is a bigger man by not joining in the bloodshed. Arthur is dismissive of this advice as he doesn't know, unlike the viewers of course, just how wise his manservant is. Enter the baddy, disguised as Arthur's Uncle Lord Agravaine. 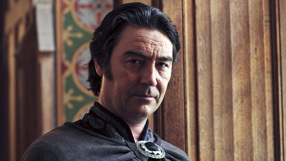 Agravaine has been advising Arthur on matters of State since his Father King Uther fell ill. He is secretly working with Uther's adopted daughter Morgana to overthrow Arthur and take the throne of Camelot for herself. Agravaine advises Arthur to' use his head not his heart' in matters of State and to show his strength by killing Caerleon. He knows that rather than being seen as strength, killing a captured man will be seen as a sign of cowardice. Arthur is swayed by the gravity of Agravaine and the argument of head over heart, so kills Caerleon. Caerleon's widow, Queen Annis, vows revenge and musters a great army to do battle with Arthur and his Knights. If you want to know how it all turned out you'll have to watch the episode online. Here's a link to the BBC iPlayer. Exciting drama as this is it started me wondering about the difference in thinking with the head or the heart. Neuroscience now confirms there is a major difference in the brain structure of men and women. (You may have guessed that already, but isn't it nice when science confirms things!) This shows that men have usually only one place in their brain for processing emotion. It's on the right near the top in the middle. It's possible or even easy for us chaps to turn off connection to this so we aren't bothered about the emotional impact of what we say or do. If we consistently turn off connections they eventually fade completely. The body and brain are very good at only sending energy where we can best use it. Conversly if we seek to engage this part of our brain frequently we will cause the connections to it to multiply and strengthen and have emotional intelligence more available to us. Just for the sake of regularity I should mention that the typical female brain has somewhere between six and seven places where emotion is processed or accessed. Making it difficult for a woman to think about anything without noticing it's emotional aspect or connection. (Perhaps we men should listen to them more carefully). So, Guys, how often do you consider major decisions, such as killing your neighbour because he has damaged your fence, using that emotional part of your brain, instead of the testosterone fuelled part that recommends a grisly end to the culprit? Maybe, just maybe, we can learn something from the wisdom of Merlin and his King, who eventually made the right decision.